R E C E N T L Y I began picking up and reading more romance books than usual. Sometimes I go through moods where all I want to read are light, happy reads, especially when I’m really stressed out. This past month or two, I’ve been starting a lot of books that I haven’t been finishing and switching over to read more romance books instead. So I figured I’d begin a new series on the blog: Romance Reads. This series will feature my romance book reads. I have plans to post a Romance Reads review every Friday; although, I might post some romance reviews on other days as well. Enjoy below my first Romance Reads Review! I went into reading this book without remembering what it was about–just that it had gotten a lot of buzz at one point. I really did enjoy going into the book semi blind as it made some of the plot points less predictable for me. Ella as a character was full of grit. There were some moments where I wasn’t always feeling her as a character, but I don’t think she was an unconvincing character. She was written as survivor who went through some hellish years and didn’t trust a lot of people, but also had a vulnerable, innocent side as well. Watt did an amazing job of bringing that character to life and having Ella’s character ring true. 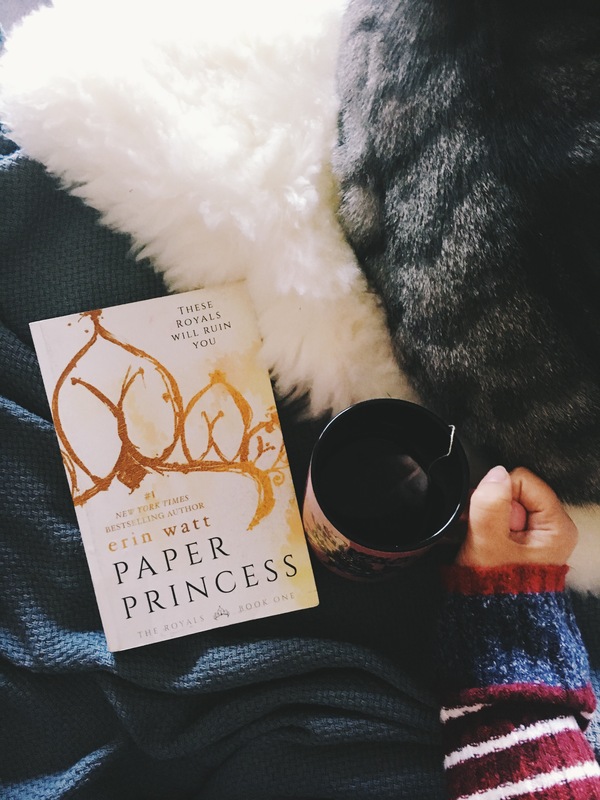 While there are some distractingly good male characters to swoon over in this book, Ella’s character is the one that made me connect to and fall in love with this story. I really enjoyed watching Ella adjust to her new life as well as find confidence and stay true to herself in the new environment. Her interactions with Reed were filled with tension and I enjoyed seeing their relationship develop, but I really enjoyed watching Ella evolve as a character the most. I also loved that she was able to find friendship within the story as well. Reed was a somewhat typical “alpha” male within this novel. He was controlling of his environment, a bit broody and had the mindset that he “didn’t do relationships.” He also had some struggles himself that he seems to be still working through during the novel and probably in the next as well. While he exhibited a lot of the same characteristics of a darker “alpha” male, he was still an entertaining character to read. I still rooted for him and Ella throughout the novel. It was a little bit jarring that these characters were all still in high school as they read a little bit older, though they seemed to be more Gossip Girl high school characters than typical YA high school characters. So after reminding myself of Gossip Girl, I was able to push past the age of the characters and believe some of the situations that the characters got into. This story isn’t deep, but it’s so so entertaining! I have to be honest, this story really isn’t all that deep even though Ella deals with some trust issues and came from a harder lifestyle. Overall, it’s a basic rags to riches story with some distracting book eye candy on the side. With that said, what this book has going for it is it’s entertainment appeal! Khanh, a GoodReads reviewer, mentioned that this book “has a Hana Yori Dango(Meteor Garden, Boys Over Flowers, whatever you call it) sort of vibe.” Which I’d totally agree with! I’ve watched Boys Over Flowers and really enjoyed the K-Drama. This book has that same kind of “I can’t stop watching” (or “I can’t stop reading this”) attraction. Khanh goes on in her review to explain some other similarities between the show and this book which I found really interesting. As of lover of the show, I can definitely see how I ended up loving this book since they share the same kind of vibe and appeal. I read this book in one night! Yes, one night! I stayed up late to finish it–that’s how much I wanted to keep reading and find out what happened between the characters and with Ella. I am currently waiting to get my hands on book 2 so I can continue to read this series and see how these character develop and what drama will happen next! Overall, Paper Princess was a fun, entertaining read with some steamy scenes and great characters that had me riveted to the pages. While not a “deeper” read, this book was entertaining as hell and definitely worth checking out!